Paul Lowe has been obsessed with crafts, cooking and styling since he was a young boy in Oslo, Norway. He credits his grandmother and great-aunt with instilling in him a love of all-things homemade, a love that shunned perfection. 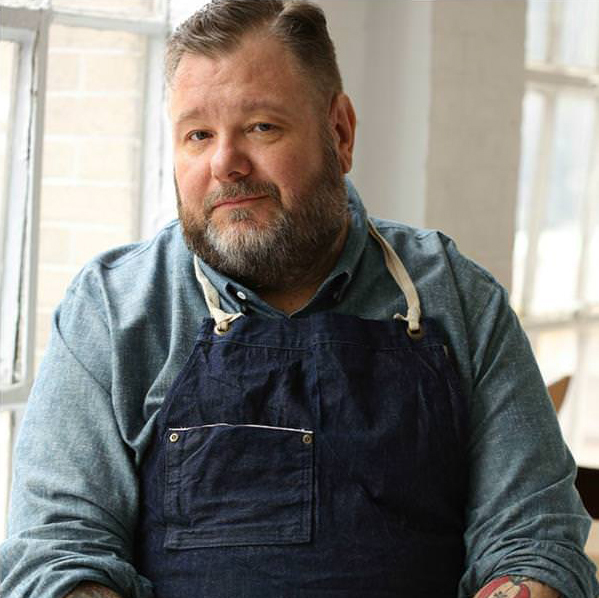 He turned that love into a career, eventually settling in New York City where he works as a food and crafting stylist. In 2009 he launched the blog Sweet Paul, which featured stories and images of delightful homemade food and craft projects, all inspired by a relaxed, non-perfectionist’s approach to doing things. “Perfection is boring, Paul,” he says with a laugh as he recalls his grandmother’s declaration after presenting him with a lopsided birthday cake. Paul’s our guest on the latest episode of AudioMag. 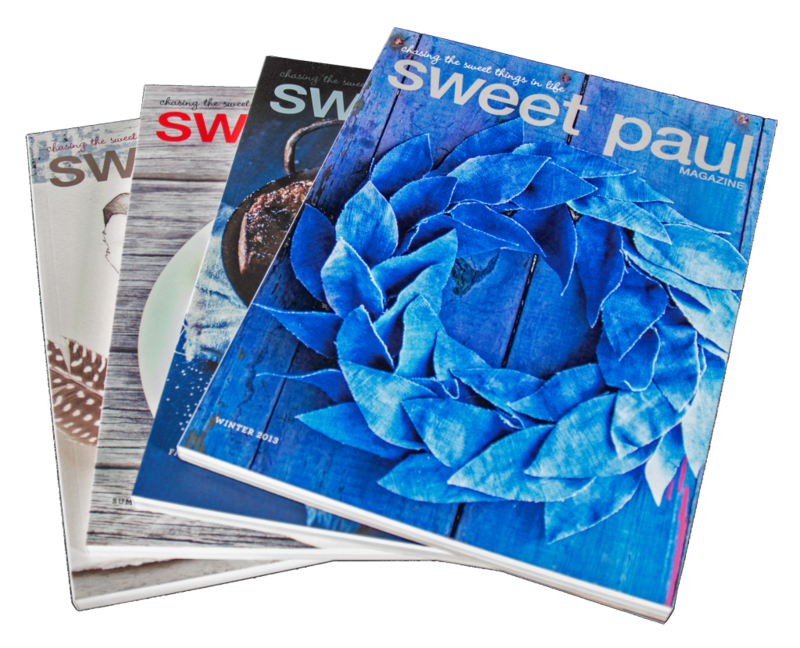 Sweet Paul was quick to garner a following of trendsetters and magazine professionals alike. He tapped his talented network of friends in publishing, and launched a quarterly online magazine within the bog. They wanted to sell the magazine in their stores, and set Lowe up with a printer. Anthropologie ordered several thousand issues to guarantee Lowe made some profit on the print run, and the partnership has been going strong ever since. The staff for Sweet Paul is small, and scattered throughout North America. It consists of a marketing manager in Brooklyn, a creative director in Chicago, a designer in St. Louis and a copy editor in Toronto. “It’s kind of amazing today that you don’t really need an office,” says Lowe. “Everyone is online and if we need to talk we Skype, or email. And we save a tonne of money doing it this way. Lowe credits the team of professionals who get Sweet Paul out the door with its success; people who were on board from the beginning even though there was little or no money. Listen to the entire conversation with Paul Lowe. Find more episodes of AudioMag in our resource centre. AudioMag is available to download and subscribe on iTunes. AudioMag is produced by Tina Pittaway, an award-winning independent writer and broadcaster. Tina has been a contributor to CBC Radio and Television for more than 20 years. Her radio documentaries have been honoured with a 2007 Gabriel Award, 2008 Amnesty International Media Award, 2009 Gold Medal at the New York Festivals and a Science in Society Award from the Canadian Science Writers’ Association. Know someone in the industry who would be interested in receiving AudioMag? Send us an email at info@magazinescanada.ca and we’ll add them to our list. Or sign up for our RSS feeds on magazinescanada.ca or on iTunes. AudioMag is made possible with the support of the OMDC. Magazines Canada acknowledges the support of the Government of Canada through the Canada Periodical Fund of the Department of Canadian Heritage, as well as the Canada Council, for this project.